For many families, nothing is more important to them than knowing they are safe and secure in their own homes. 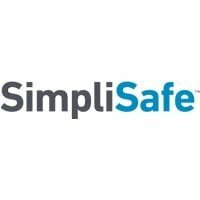 One method of ensuring the safety of your family is with one of the many home security services now on the market. 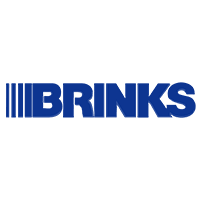 Your options as a homeowner are now greater than ever with options that include using a system purchased from and installed by a company with local offices and installers, such as ADT, or by purchasing a system online from Brinks Home Security or Simply Safe and installing it yourself. What Are Home Security Services? Most systems can be configured to include video monitoring capabilities. Depending on the number of cameras and their locations, you can monitor comings and goings while you are at home or away using a computer, tablet or smartphone. Some of the systems can be installed to allow you to remotely control the lights, heating and air conditioning, and other systems located within your home. Home security packages purchased from a local or national company usually include the equipment, customized installation, and monitoring services. Home alarms can be linked to a central monitoring station offering 24 hours a day live monitoring. When the alarm in a home is triggered, the central station notifies police, fire or emergency services to respond. Some local police departments offer their own monitoring service that is linked to the 911 emergency dispatch system. At one time, home surveillance security systems could only be obtained through local or franchised home security services. These companies sold the hardware, installed it and provided central station monitoring of the system. Do-it-yourself home surveillance hardware can be purchased online or in stores as an alternative to security services. Stand-alone systems usually include hardware, such as sensors, cameras and motion detectors. They are relatively easy to install and can be monitored by homeowners through internet access on smartphones and smartphones. 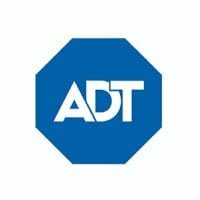 The primary difference between stand-alone home security hardware and systems purchased through home security services is the ability to connect them to central monitoring. Central monitoring might not be a benefit some homeowners believe they require to feel safe and secure about their home and its contents. For these individuals, a stand-alone system they can monitor on their own when away could be sufficient, but other homeowners might prefer not having to rely upon access to the internet in order to monitor their home security system. The benefit of a system offered by a home security service is in knowing it is being monitored around the clock. The extra cost associated with this additional layer of protection might be worth it for someone concerned about an alarm going unanswered if they do not have a reliable Wi-Fi connection. Homeowners who are confident of their ability to self-monitor their home security systems while at home or away benefit from the absence of a monthly monitoring fee charged by home security companies. They might also benefit from paying less for the equipment that might be charged by a security company. The cost for home security services depends upon several factors, including the number of sensors and detectors needed or desired and the complexity of the system. Monthly monitoring costs vary from one company to another, but they generally range from around $15 a month to around $45 a month. Some companies offering monthly monitoring offer specials and packages with hardware or installation discounts for new customers committing to monthly monitoring for a specific term, such as one to three years. In contrast, a multipurpose sensor designed to be installed by a homeowner can be purchased for less than $40. The sensor picks up movement and vibration and can alert you to a door that has been opened or let open. The plug-in sensor is monitored by the user without central monitoring. The cost of the equipment offered by home security companies varies considerably depending on the company and the complexity of the system. A complete hardware package could cost more than $1,000, but it would probably offer the best possible protection against intrusion, fire, smoke, water, and other risks and dangers to give families the greatest sense of security whether they are at home or away. What someone pays for a system is generally based upon the level of protection they desire and the system they choose.